What’s so unique in connecting a child with a caring sponsor? 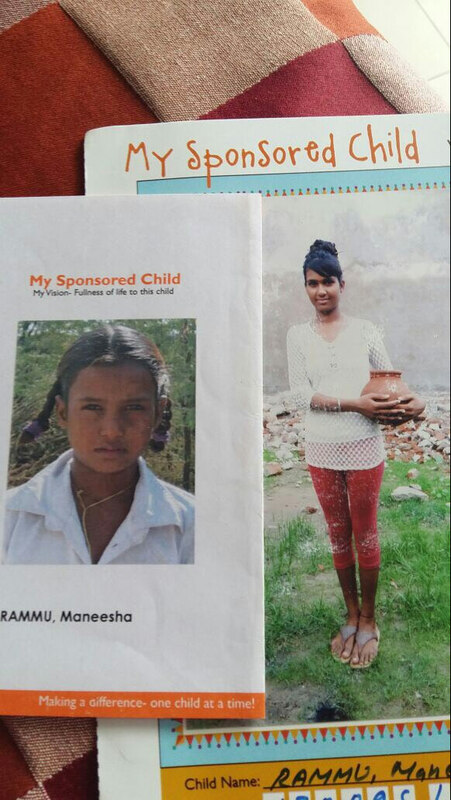 From cute little babies to shy school children to confident teenagers and youngsters, sponsorship gives you the privilege of watching your sponsored child grow before your eyes. It takes you on a journey, scarcely unexciting. 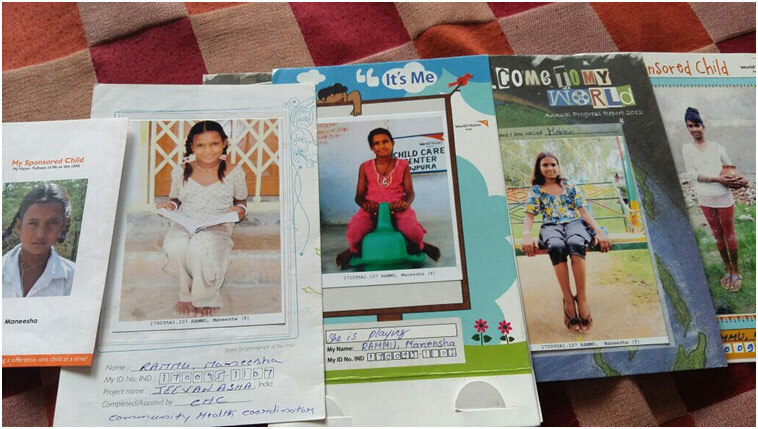 And truly, words and letters of encouragement from sponsors work wonders in the young lives in mysterious ways. Last month, Sajit’s 8-year long journey with Manisha, his sponsored child, took a surprising turn. He got the information that the Jeevan Asha project, to which his sponsored child belongs, is coming to a close. Project closure is a bittersweet experience to our sponsors. Having cherished a bond with the child for many years, a closure is hard to accept. But a project closure means that your sponsorship contribution over the years has yielded fruits. The community is empowered and the local leaders are more than happy to shoulder the new responsibility of continuing to provide a better world for their children. Here’s a loving letter from Sajit to his sponsored child Manisha that we thought you’d love to read, as much as we did. I understand the Jeevan Asha Project is getting stopped and we will not be connected anymore. It will be very sad to part, but that is life and we need to accept and move on. You as a beautiful little girl so many years ago touched our hearts and were the reason we were connected with World Vision all these years. Though we may not have interacted much, we have been keenly observing your progress. We go through your letters and progress cards and have been very happy whenever we heard from you. We wish for you to grow up into a very self-reliant person and influence and help others positively. Our blessings will always be there and we are very confident that you will make your parents, your society and the nation proud. Take care, beta. Great story. Appreciate Sajit, Beena and Jenny for having those beautiful moments captured in one picture.